On Thursday night, fans got a nice surprise as Warner Bros lifted the embargo on critics who viewed the highly anticipated 'Wonder Woman' film last week and the first reactions have hit social media. Fairly or not, a lot is riding on 'Wonder Woman' for the studio, for the DCEU, and for women-driven tentpole films. 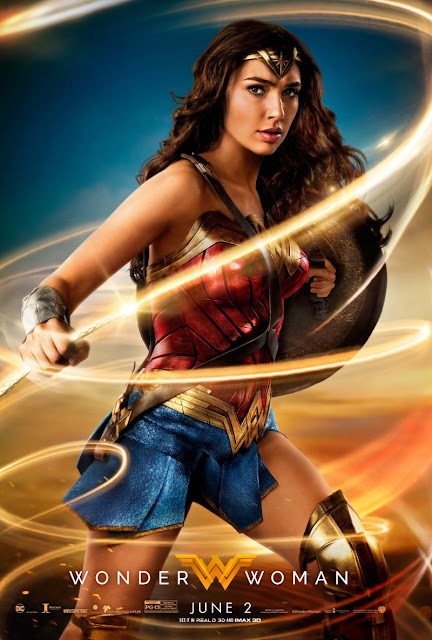 Thankfully, for all involved critic reaction has been overwhelmingly positive praising the work of director Patty Jenkins and the versatile star power of Diana Prince herself, Gal Gadot. The lifting of the social media embargo has revealed that even the most cynical critics of DC Comics films were won over by the charm, humor, heart, and exhilarating action of 'Wonder Woman.' Some have said this could be the best DCEU film thus far. Unfortunately, the rest of us will have to wait until it's released in theaters on June 2. Check out these selected tweets from critics with their first reactions. My ❤ swelled at how fantastic WONDER WOMAN is. @PattyJenks keen eye for detail will make comic fans rejoice & bow down cuz @GalGadot is a 👸! @WonderWomanFilm is everything you want in a #WonderWoman movie & more. It's the film even DCU critics will love. #WonderWoman is the ray of light the DCEU has been waiting for. Gal Gadot just owns it.